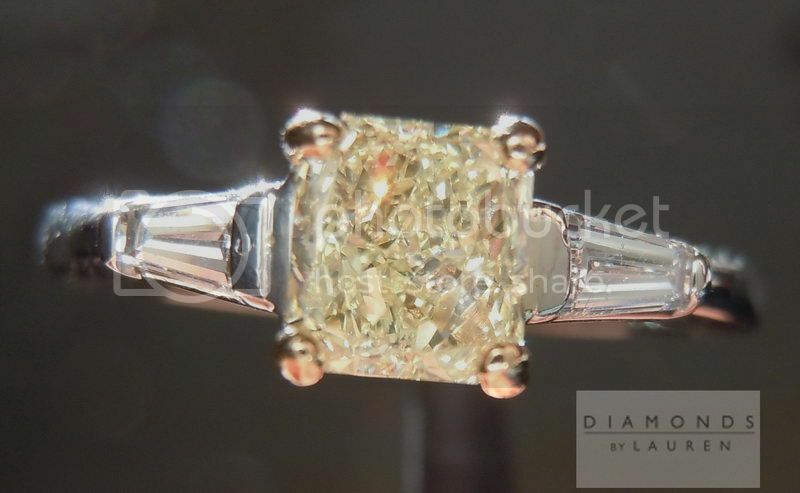 Here is a beautiful three stone diamond ring. 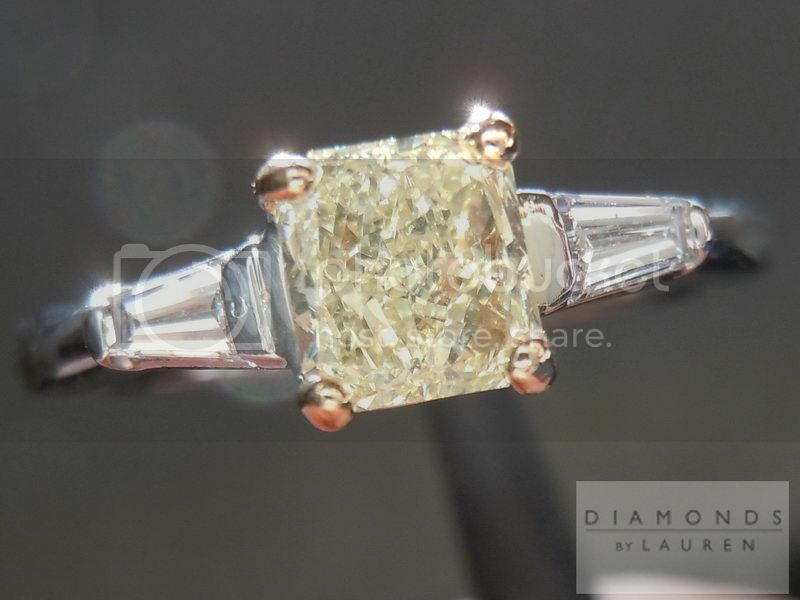 The ring was manufactured in 2003 and was purchased in early 2004. It came back to us as a part of our Trade Up Policy in perfect condition. 8 years later this ring is looking for a new owner to love it as much as the original did. Our trade up policy does not expire which is how we are bringing this beauty to you currently. 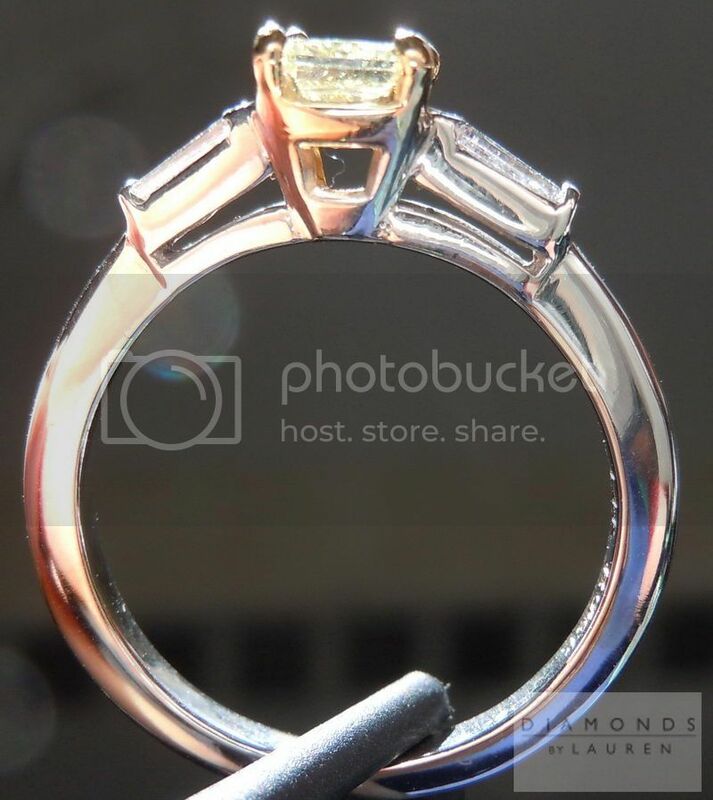 The ring is a classic design. 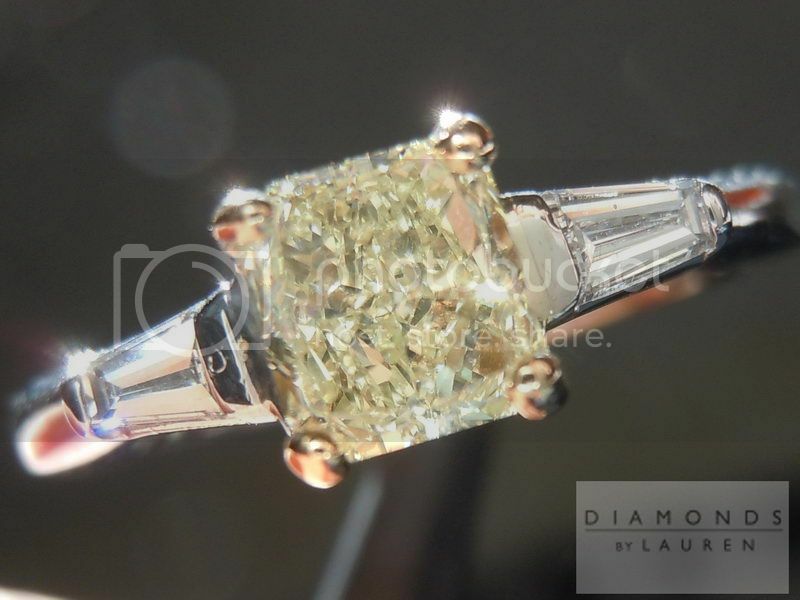 Tapered baguettes flank the gorgeous Natural Light Yellow radiant cut diamond. 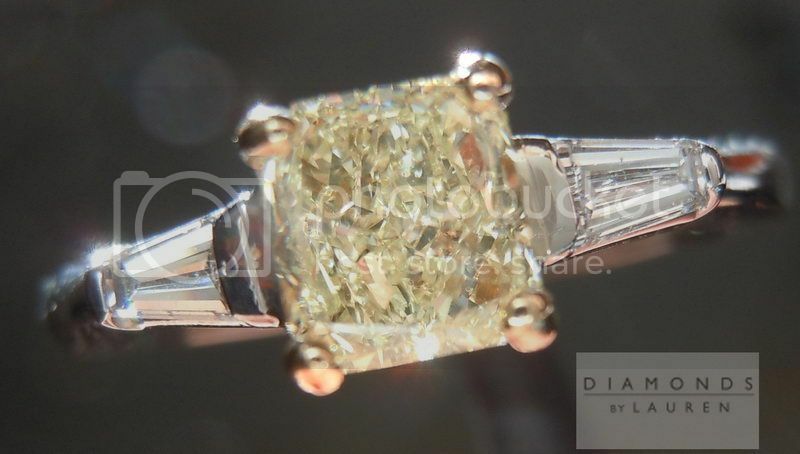 It is a beautiful contrast in both color and cut - lemony yellow crushed ice from the center diamond and broad icy white flashes from the side stones.